MS Europa, the flagship of Hapag-Lloyd Cruises, is the only cruise ship in the world to be awarded the highest rating 5-stars plus rating in the new 2012 edition of the renowned Berlitz Complete Guide to Cruising & Cruise Ships. The expedition ship Bremen received an even better rating than in previous years and was awarded 4-stars-plus for the first time. With 1852 out of a maximum of 2000 points, the Europa received the highest rating of all 285 ships tested. The Hanseatic scored 1746 points, making her the only expedition ship to be awarded five stars. The second Hapag-Lloyd Cruises expedition ship, the MS Bremen, was upgraded and received the award 4-stars-plus for the first time with 1553 points. 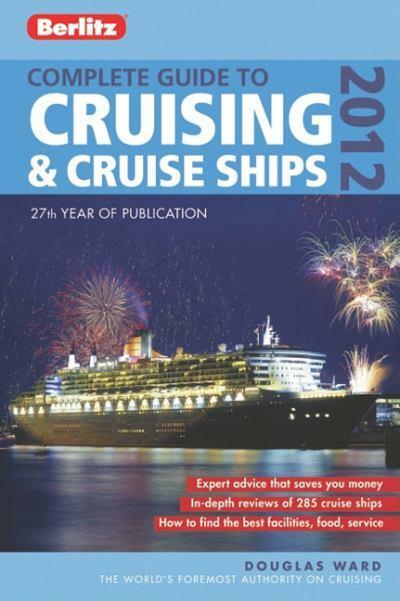 Berlitz Complete Guide to Cruising & Cruise Ships by Douglas Ward, 720 pages, paperback, is also available as an application for iPhone, iPad and iPod Touch. For more information on Hapag-Lloyd Cruises’ exciting destinations and itineraries visit the Hapag-Lloyd Cruises web site. For bookings, inquiries, or to request a brochure, please call Gay Scruton at The Cruise People Ltd in London on 020 7723 2450 or e-mail cruise@cruisepeople.co.uk.